Five energy-boosting foods to fight fatigue, from chia seeds to milk. We've all heard our moms, babysitters, and nutritionists tell us "we are what we eat." We don't actually turn into the bagel with cream cheese we ate for breakfast, but the nutritional content of the bagel will determine the composition of the cells in our body. This is why our bodies are only as healthy and balanced as the food we feed them. For example, when we feel fatigue, the body is lacking energy from nutrients it needs to adequately function. In the United States, women are more prone to feeling very tired or exhausted than men. Among women aged 18 to 44, women are nearly twice as likely as men (15.7 percent versus 8.7 percent) to feel extreme fatigue. In some cases, fatigue is intense enough to interfere with living a normal life. Marci Clow, a registered dietitian and director of research and quality at Rainbow Light Nutritional Systems, believes what we fuel our body with is certainly related to feeling more energetic and less tired all the time. Therefore, when we're tired, eating nutritious whole foods is essential to boost energy and help us stay alert. 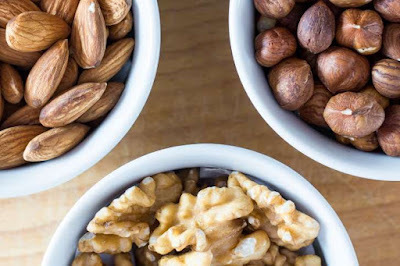 "Foods that are nutrient dense and combine complex carbohydrates, healthy fat and/or protein are essential; the protein or healthy fat will keep you full and delay the absorption of carbohydrate into your bloodstream plus the carbohydrate will give you a boost of energy” Clow told Medical Daily. Below are 5 foods that help fight fatigue and keep us energized for longer. Nuts are an excellent source of energy and are rich in protein, vitamins, minerals, and healthy fats. Macadamia nuts have the most saturated fat of all nuts, with 80 percent of their fat content being monounsaturated, which has shown to lower triglycerides and have beneficial effects on LDL and HDL cholesterol. According to Clow, you can eat them by the handful for a snack, sprinkled over yogurt, on a salad or on a stir-fry, baked into quick breads, or as nut butter. Chia seeds have been touted as the ultimate fuel for running due to the use of Aztec and Mayan tribes who used chia seeds soaked in water as fuel for distance running. A 2011study found chia seeds can be just as effective as Gatorade before running a race. They contain the antioxidant quercetin, which has been shown to enhance athletic performance and recovery. However, even for people who are not runners, “the anti-inflammatory omega-3’s are essential for peak organ function and essential immune function,” Darshi Shah, a board-certified nutritional therapist and health coach told Medical Daily. A good hearty breakfast is one that is super versatile and perfect for fighting fatigue. 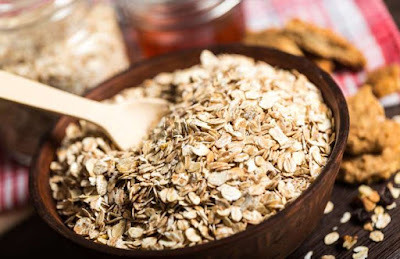 Oatmeal is a soluble fiber that actually protects against blood sugar spikes and crashes later in the day. This is because it dissolves in the intestinal tract and forms a filter that slows the absorption of sugars and fats. Other article : - 10 cholesterol-lowering foods. 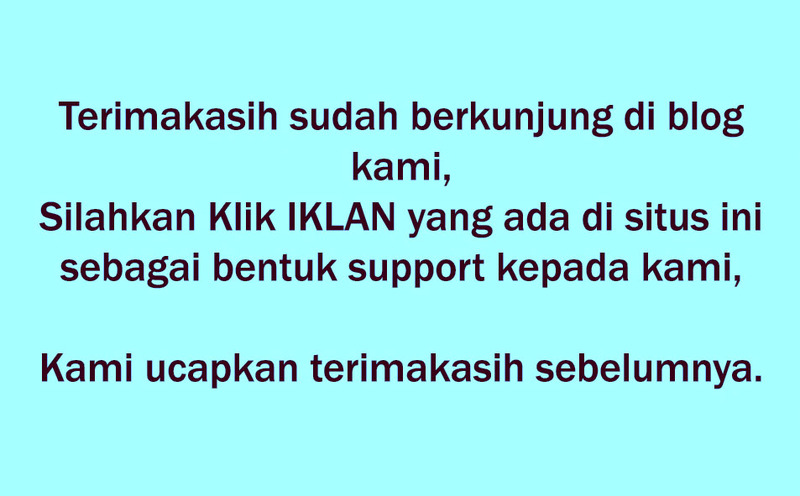 - Physical Therapy Can Play a Big Role in Cancer Treatment. 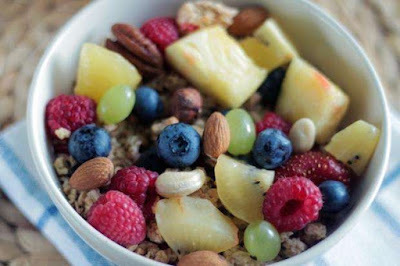 Oatmeal is full of fiber and has some protein, which both contribute to satiety. It also contains quality carbohydrates that are stored in the body as glycogen, and provide fuel for your brain and muscles and help stabilize blood sugar throughout the day, according to Clow. Milk has a bad rep with studies about dairy constantly showing positives and negatives. Dairy has been linked to acne and weight gain, but it actually supplies the body with water, helping us maintain electrolyte balance while we sweat. 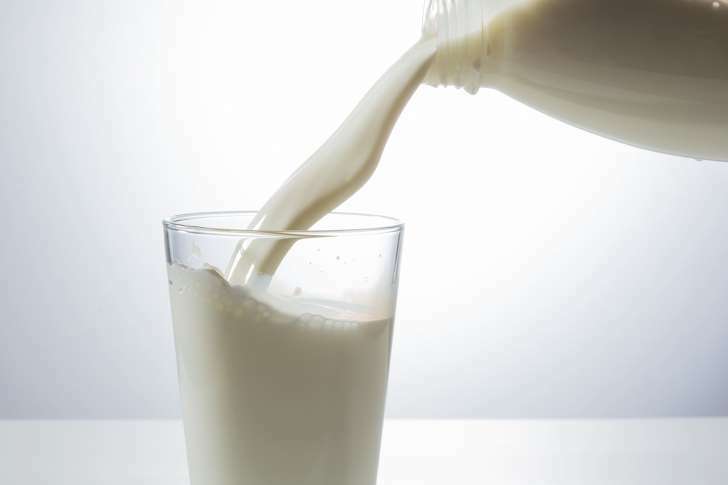 A 2012 study found drinking casein, a protein in milk, at bedtime, helps relax the muscles and lull us to sleep. However, Shah doesn’t recommend a glass of cow’s milk before bed. Therefore, she says the same concept of going to bed with a little protein can still be applied – a small handful of almonds, sunflower seeds, or a cup of organic Soy milk or organic yogurt (protein + probiotics) will do the trick. This summertime staple can stop us from feeling dehydrated or feeling foggy and fatigued, according to a 2011 study. At 92 percent water content, it provides fuel for our bodies, and makes it a great source of water to fight feelings of fatigue. For example, when a person is mildly dehydrated, energy levels and the ability to think clearly can be effected, which are the same symptoms that can be experienced when blood sugar levels drop. 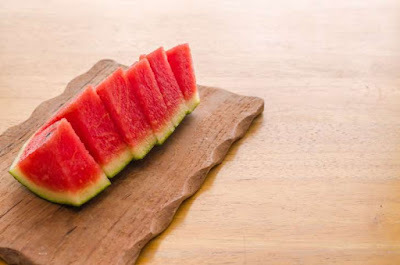 Eating a slice of watermelon will boost energy by providing glucose (fuel), plus providing hydration. “Additionally, watermelon contains an amino acid called L-citrulline which has been suggested to reduce feelings of fatigue” said Clow.